I love blogging with the Muses. I will admit though that sometimes, especially lately it seems, my turn at the posting bat draws near and there is a bit of anxiety as I have to dig deep to find something “worthy” to fill this space. Not so on the weekends though. When my turn for a weekend mosaic rolls around it reminds me just how much I love this “job”. I relish the opportunity to dive deep into the Flickr pools to find a thread among the amazing photos submitted by this community. I rarely have something particular in mind when I go looking through the pools. Rather I like to let a story come together for me as the perfect grouping of images reveals itself. Today’s story is in black and white. A soothing start to this Sunday, I think. Enjoy. There is something a little mysterious in B&W photography, it draws me in. 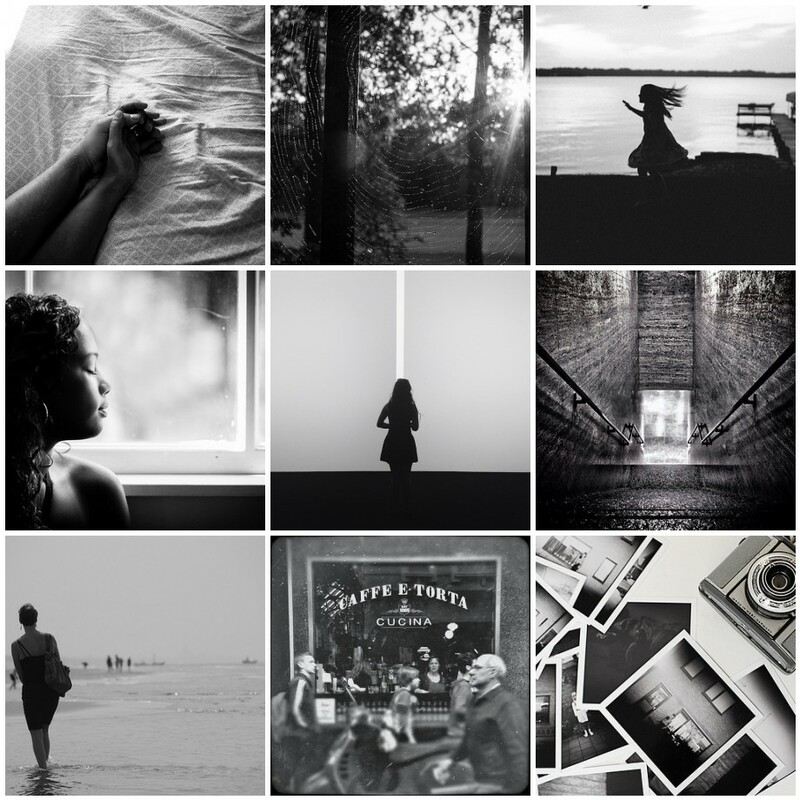 A lovely collection of B&W images. Thank you for including one of mine.